Choosing natural red clay as the raw material, this also means be familiar with its chemical characteristics and accepting its physical restrictions, without resorting ti “reworked” clay. Turning, the apparent ease of a gesture which “defies” the plasticity of clay and “knows” its contraction, giving birth to ever more refined shapes. The harmony and stability of shapes which are traditionnaly round, for the sake of functional and aesthetic requirements. A palette of colours, made of oxides, slips and permanent variations. Brushes apply the colours, guided only by the inspiration and emotion of the moment, thus ceramist becomes a painter. 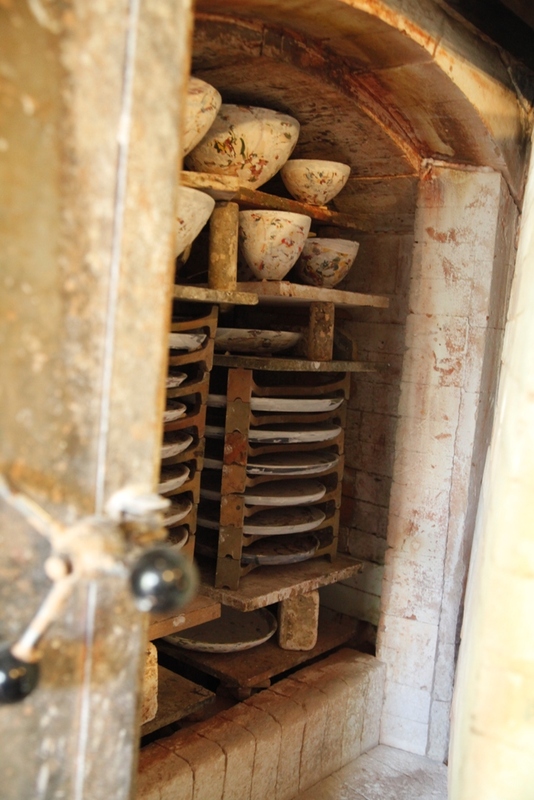 Carefully controlling the firing, the decisive test of the oxidation and reduction which, in two separate firing operations, transforms the “raw material” into “earthenware” and reveals the colours under a transparent lead-free glazing. After all the potter’s knowledge and techniques have been carefully implemented, everything meticulously planned, the act of opening the oven still provides its own surprises; hence, the impatience as well as the anguish and joy !